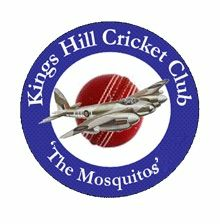 KHCC was founded in 2006 and has grown into a successful club, rooted in the Kent community of Kings Hill and the surrounding area. Our aim as a club is to play good cricket and provide structures and opportunities to promote the spirit of the game both on and off the field. Our senior teams provide opportunities for players across a range of ages and levels of experience and we work hard to balance enjoyment and competitive performances with achieving results. This has seen our teams win consistent promotion through the league structures. We’ve also had a number of junior players come through to play in the senior teams in recent seasons – with great success. 1st team has seen 5 promotions in 7 years from the Kent feeder league to Kent League div 4. Newly formed 2nd team 2 promotions in 2 years now seeking promotion to the Kent league 2s structure from the feeder league. Sunday friendly & League cricket also available.